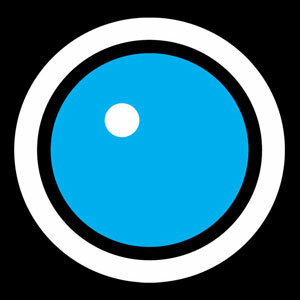 Harmonix Blog: DLC Week of 3/21: Five Finger Death Punch and Young The Giant! DLC Week of 3/21: Five Finger Death Punch and Young The Giant! 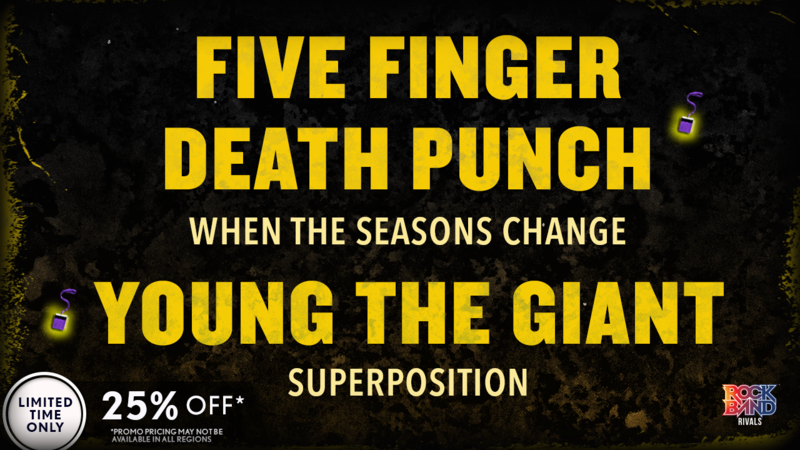 Current singles from Five Finger Death Punch and Young The Giant arrive in Rock Band 4! “When The Seasons Change”, from Five Finger Death Punch’s seventh studio album AND JUSTICE FOR NONE, joins the Rock Band DLC library this week. Hailing from Las Vegas, Nevada, 5FDP formed in 2005 and released their groundbreaking debut album The Way Of The Fist two years later. Over the course of the next decade, the band would rack up 3 Gold and 3 Platinum albums while touring religiously to their legions of fans. Hot off the heels of their first Greatest Hits compilation, 5FDP released AND JUSTICE FOR NONE in the spring of 2018. The album was an immediate hit with fans eagerly waiting for new material and it debuted at #1 on the Hard Rock album chart (and #4 on the Billboard 200 album chart!). “When The Seasons Change”, a standout power ballad from the album, makes for exciting gameplay on all instruments. Ivan Moody’s commanding vocals are fun for singers to emulate while the acoustic and electric guitars (including a wicked solo) really shine through. www.fivefingerdeathpunch.com has everything to quench your thirst for more 5FDP. Upcoming tour dates, videos, music (including their latest album, AND JUSTICE FOR NONE), and merch galore! We’ve had Young The Giant’s latest album Mirror Master in constant rotation in the Harmonix offices and are thrilled to add their latest single “Superposition” to Rock Band 4. The fourth album in the Young The Giant canon, Mirror Master is an atmospheric album full of deeply reflective songs such as “Superposition” and “Simplify” (which is also available in the DLC library). Currently in the Top 10 of the Billboard Alternative Songs chart, “Superposition” is a love song about the powers of attraction and destiny. The drums are tight throughout the song, so there’s little room for error there. The radio-friendly chorus and harmonies will require focus, but the star of the show is the intricate guitar strumming with frequent HOPOs and chord changes. Young The Giant’s latest album, Mirror Master, is out now. www.youngthegiant.com is your gateway into their world. While there, be sure to check out the video for “Superposition”, catch up on the latest news, and take note of their spring/summer tour dates. For the first two weeks of release, songs can be purchased individually for $1.49. Following that two week period, songs can be purchased individually for $1.99. The Rock Band Rivals Season 10 Spotlight Pass can be purchased for $14.99. VIDEO: Rock Band 4 DLC Week of 3/21: Five Finger Death Punch and Young The Giant! * Please note that this week’s DLC tracks tracks will be available for purchase on Thursday, March 21st.